THIERRY LASRY 'SNOBBY' ARE MADE USING MAZZUCCHELLI ACETATE & TITANIUM. THE FRAME IS A SOFT CAT-EYE SHAPE WITH A GOLD TITANIUM BRIDGE AND SIDES. 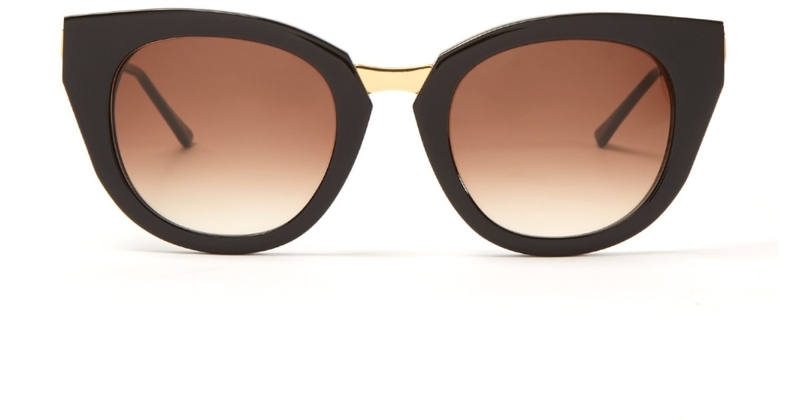 The Thierry Lasry 'SNOBBY' are A Retro inspired soft cat-eye sunglass. Made from the finest MAZZUCCHELLI acetate and titanium, crafted to suit all face shapes. Thierry Lasry is renowned for being handmade in France using vintage acetate and recreated using handmade high spec techniques. Theblack gloss is classic and timeless, like much of the collection favoured by the rich and famous. Be your own star and turn heads for all the right reasons. Every pair of Thierry Lasry sunglasses comes with their own branded case, cleaning cloth,packaging, and are covered by the no quibble sendoptics guarantee.